It was a private poker game with a veritable Who's Who of high rollers sitting around a table in a dimly lit, smoke-filled room. I was the new guy to the game. But they didn't know what they were getting into. Hand by hand, their piles of chips dwindled. I read their faces like open books, but my playing boggled their minds. They never knew when I was bluffing, because when I lay down a bet, it's never a gamble. 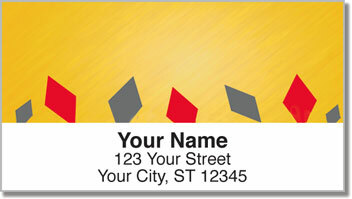 Playing Card Address Labels from CheckAdvantage feature designs displaying all four suits. 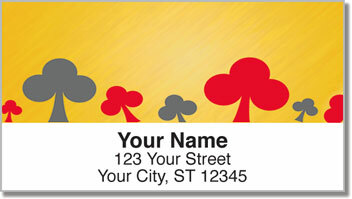 They are the perfect choice for expert card players like you. 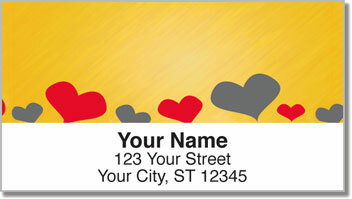 Stick them on all your outgoing mail to give it an eye-catching look! 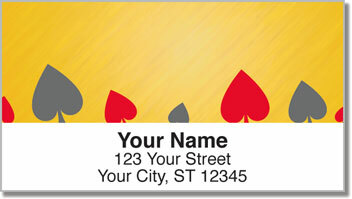 Order your very own Playing Card Address Labels now! Matching personal checks are also available.